*due to lack of entries, the due date for round one has been pushed back. Hello! 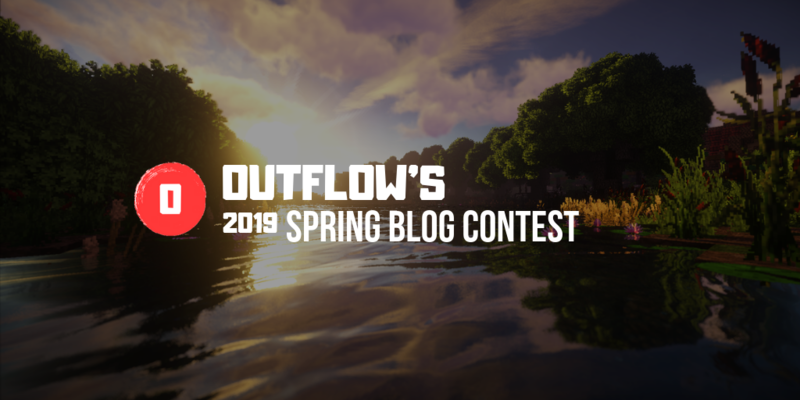 Welcome to my 2019 Spring Blog Contest. Your task is to create a unique, original blog about the season of Spring, following my rules and guidelines and those of PMC. You will have until April 1st, 2019 to submit your work for Round One. Take your time and have fun! Write a 200 word blog in the perspective of a Spring animal (ex: bunny). SUBMIT BEFORE APRIL 15TH, 2019. 1. Create an original, unique piece about Spring. Follow the prompts given in the "Rounds/Submissions" box above. You can write freely about the season for the Freewrite round and for the Finals round. 2. Do not copy or steal someone else's work (regardless of if they're in the contest or not.) This will result in disqualification. 3. Take your time. If you submit early and you are 100% finished editing, try reading other entries and give feedback to help them. 4. Submit your entry via PM to myself, my guest book, or through the comment section of this thread. (by myself, I mean Outflow.) ﻿When titling your entry, choose a title with the intent of hooking a reader. Use a separator in the title box (after your title you chose) (ex: | or -) and put the title of this contest. 1st Place - ﻿Entry featured on my profile for 2 weeks. A trophy that will include your place on the leaderboard and your display name that can be put on your profile. 2nd Place - Entry featured on my profile for 1 week. A trophy that will include your place on the leaderboard and your display name that can be put on your profile. 3rd Place - Entry featured on my profile for 2 days. A trophy that will include your place on the leaderboard and your display name that can be put on your profile. ﻿All participants will receive a participant trophy as well after winners have been calculated. So it has to be exactly 200 words? It can be more, of course. Ok cool. I may try to enter. Great job! I'll add this to the entry list.